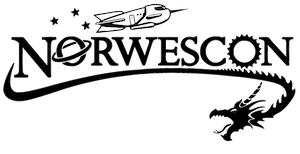 Represented by Mike Underwood and Marc Gascoigne. Look for additional GoH announcements later this year. Just $50 for a full four day membership! 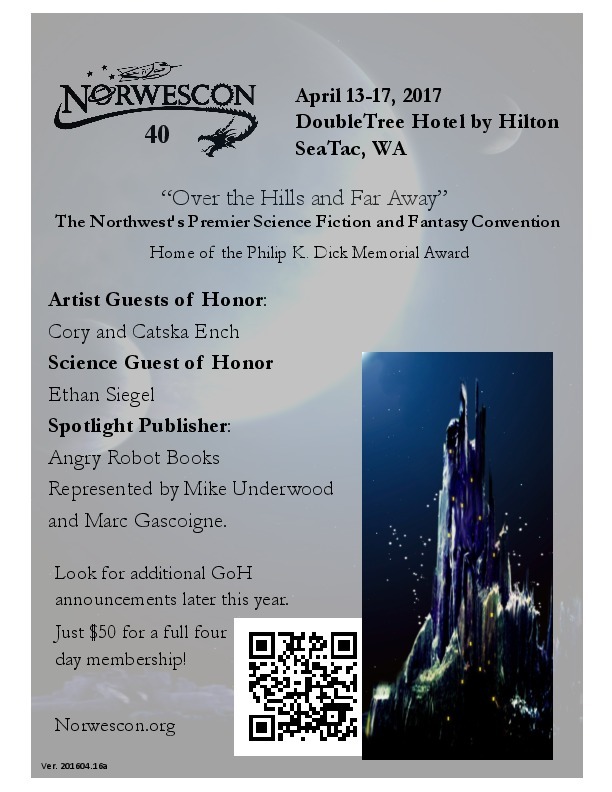 “Norwescon 40 Flyer 2,” Norwescon History, accessed April 19, 2019, http://history.norwescon.org/items/show/303.